Welcome to Hunter Mill Estates! Hunter Mill Estates is a community of 162 estate homes located in Vienna, VA. It is outside the Town of Vienna within Fairfax County, situated just east of its border (Hunter Mill Road) with Reston. We belong to the Hutner Mill District. Hunter Mill Estates also just happens to be the location of the Hunter Mill Swim and Racquet Club. The Wiehle Reston-East Metro station is 2 miles away. 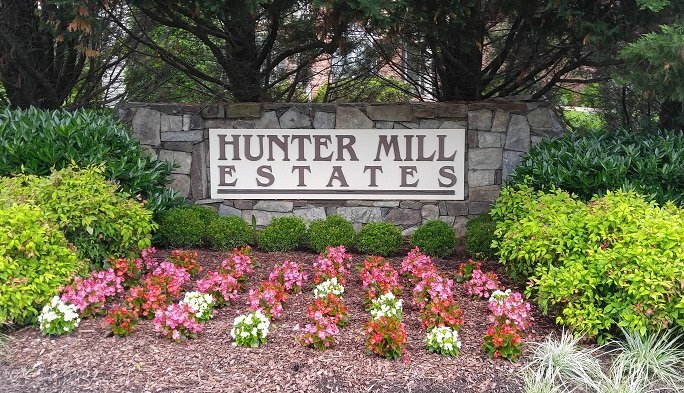 All homes in Hunter Mill Estates were built by Toll Brothers with the exception of six homes that comprise Hunter Mill Overlook, which are not part of the 162. Homes here range from about 3800 to over 6000 square feet of finished space. The lots average over 1/2 acre and many of them are wooded. Our school district includes Sunrise Valley Elementary School, Langston Hughes Middle School, and South Lakes High School, though many families in Hunter Mill Estates send their children to private schools. The entire capability of this site is available only to registered residents who log in. The Hunter Mill Swim and Racquet Club is located within Hunter Mill Estates but is not part of it. The club is privately owned and membership is on an invitation basis.